I don’t know about your holidays, but mine are usually a blur of family gatherings and dinners with friends I haven’t seen for years combined with a fast marathon through the local shops and restaurants, lost in the desire to do all I’ve been missing in the past years of absence from my home town. In between, my husband and I would squeeze an escape to the beach somewhere in Greece. It is busy overall and if I can describe it in the best way – it feels like a Big Fat Greek Wedding. This year I’ve started contemplating the real meaning of summer holidays. First of all, how recharged and truly rejuvenated I can be after a 7-day trip that includes crowded airports, long driving distances, busy restaurants, noisy bars, lavish family meals, increased consumption of alcohol and of course lots of holiday snacks, packed with fat, salt, and sugar…. Observing my girlfriends as well, we spend so much time fantasising about our summer holidays; hustling over our diet, exercise routine, and revamping our wardrobe only to miss the joy and the real meaning of the holidays, returning more tired, grumpy, and dissatisfied than before. So what can I (and perhaps you, too) change about summer holidays to live their magic to the fullest and ensure they serve me in the best possible way? Like everything else, holidays are a matter of habit and sometimes we do the same thing over and over again because change is uncomfortable, and we feel anxious about the unknown. But sometimes things happen, like it rains throughout your entire holiday, or the chef who used to cook your favourite fish leaves and you start feeling disappointed. 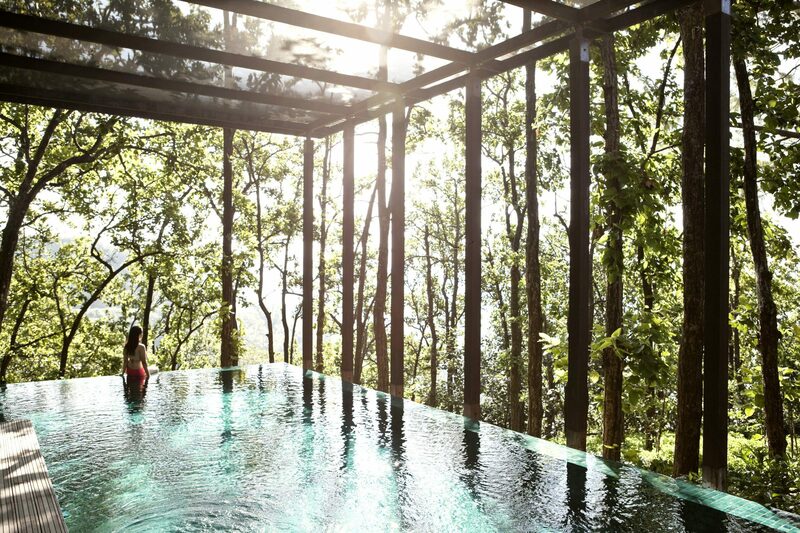 That’s when you contemplate the real meaning of your holiday – to rest the body, relax the mind, and recharge the soul – and you start looking for a new destination that can make you feel instantly revitalised. And here is what happened to me: a month ago I was invited to a yoga class with Sandeep Agarwala, a yoga master visiting Zurich all the way from the magnificent Himalayas. After the class we were treated to a delicious Ayurvedic lunch, hosted by Ananda, an award-winning luxury destination spa resort in India, where Sandeep is practising and teaching. The yoga practice was a mix of certain exercises combined with detailed explanations of how yoga works with the body, mind, and energy flow. I’ve realised that as popular as yoga is today in Western culture, we often miss the real purpose and meaning of this ancient Indian practice. Very often we choose yoga as a variation of our exercise routine, forgetting the mindfulness and the control of the breath or the so-called pranayama. Practising yoga daily is recommended as much as we need to brush our teeth, in order to bring balance and harmony between body, mind, and spirit, and to unlock the flow of energy and vitality within our lives. Yoga can be especially good for people like me, who have a dominant Vata dosha. Now before I get lost in any explanation about Ayurveda, which is a great passion of mine, I want to tell you a little more about Ananda. People go to Ananda Spa and Wellness Resort for several reasons, but mostly to de-stress, detox, and bring vitality back to their lives. This beautiful resort offers an impressive range of healing and wellness experiences, integrating traditional Ayurveda, yoga, and Vedanta. Upon arrival you can meet with an Ayurveda master who helps you define your constitution type and designs a meal plan for your stay. Visitors are encouraged to practise yoga and meditation daily. 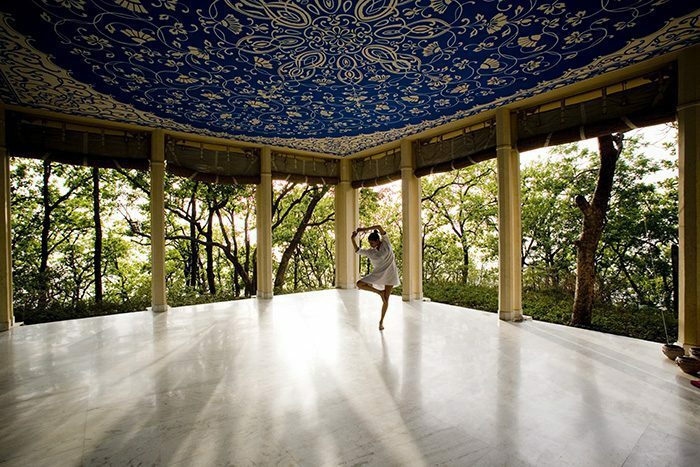 A private session with one of the yoga masters is arranged right at the beginning of your stay. Visitors can choose from a myriad of revitalising treatments such as sensuous aromatherapy, pressure point and tension release work through to reflexology, healing Tibetan Kuu Nye, and Himalayan crystal therapy to balance their chakras and cleanse their being of negative thoughts and energy. Now this is what I call a holiday, speaks up my inner critic. Or to use a very modern Western term, this is a Strategic Investment in my Health, Wellness, and Productivity. And if you are still not convinced, or just like me you crave a more dynamic daily routine, there is a fitness programme and daily hikes that take you to sweeping and dramatic mountain views, following tracks in the graceful Sal forests and visiting the spiritual town of Rishikesh and the Ganges river valley. Years ago I became obsessed with Ayurveda’s ancient practices, which promote holistic balance in the physical body and mind. Ayurvedic diets are personalised and based on someone’s dosha, or constitution. The well-known benefits of the Ayurvedic diet include improved gut health, digestion, moods, sleep, fertility, and balanced body weight. Finding out your dominant dosha can help you a lot in understanding your character, your strengths and weaknesses, and what increases or decreases your balance. You will know what kinds of food work for you, how to bring more balance and calmness, enhance digestion and even the type of massage oil you can use. Your constitution type says a lot about you. The simple example I can give you about me is that I have very dry hands and feet and that is typical for my constitution, but I can balance it in several ways. I also suffer from restlessness. I am a notorious doer, so I need exercises to help me relax and calm my energy so I can feel more grounded and focused. The best way to find your dosha or constitution type is to meet with an Ayurveda master. Most people are a mix of two constitutions and you will be able to explore in detail what is your type and how you can restore your balance and harmonise your energy.